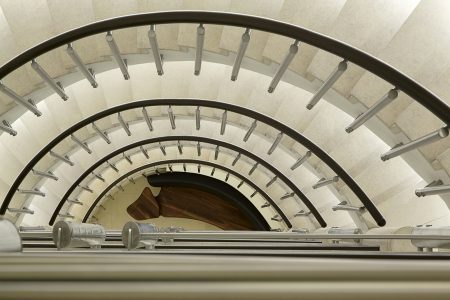 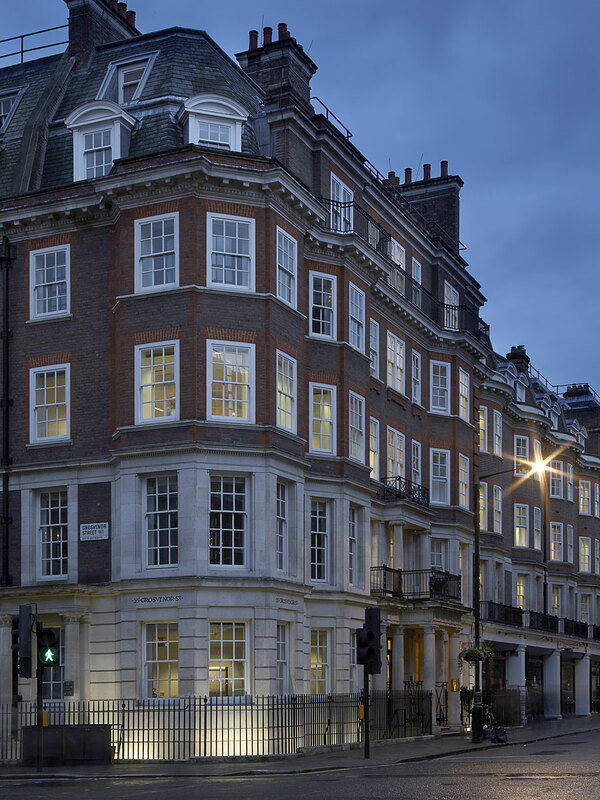 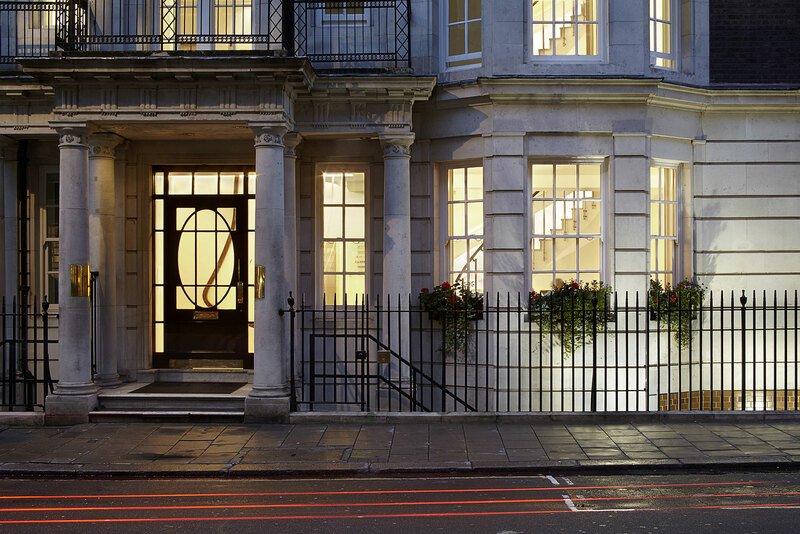 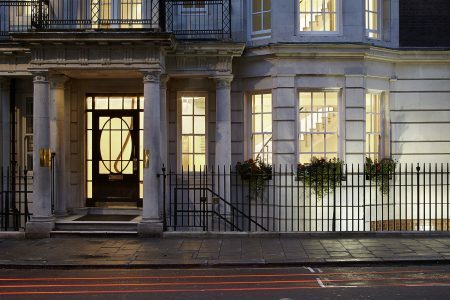 The substantial refurbishment of the lobby and common parts of this prestigious office building located in Mayfair in central London responds to the prime location through spatial finesse and use of an elegant material palette. 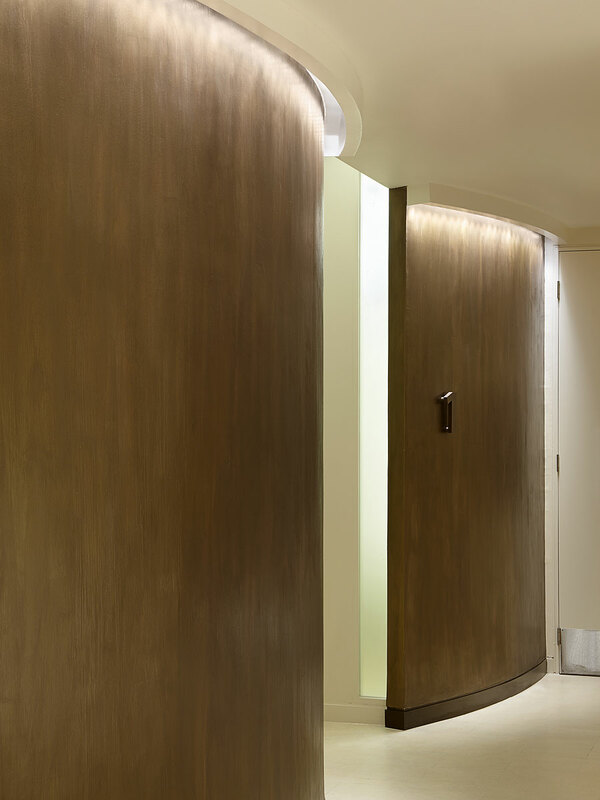 A challenging aspect of the design brief was to provide an eye catching feature in an entrance lobby with floor space restricted to just 40 m². 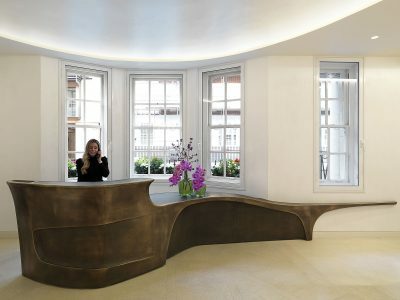 Our solution was to deliver a 5.5 m long sculpted reception desk made from cast aluminium with a sprayed bronze finish, which blends visually and physically with the front exterior wall of the welcome area. 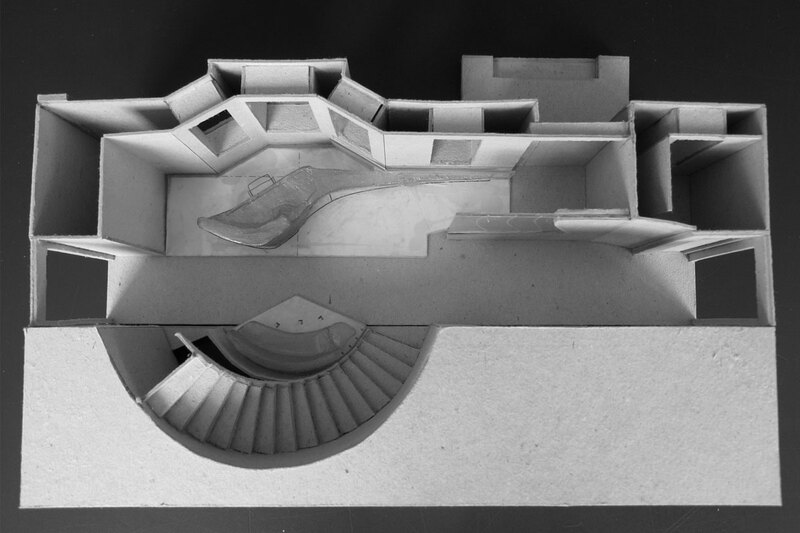 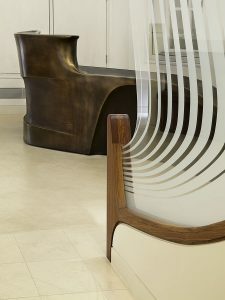 The desk was first wax modelled in miniature, with thousands of dimensions transferred to a 3-D computer model, an intense process due to the double curvature of the proposed furniture. 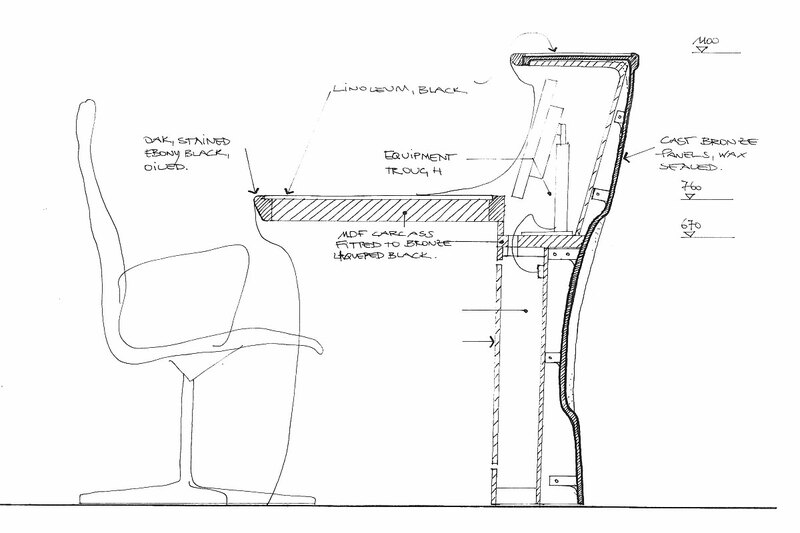 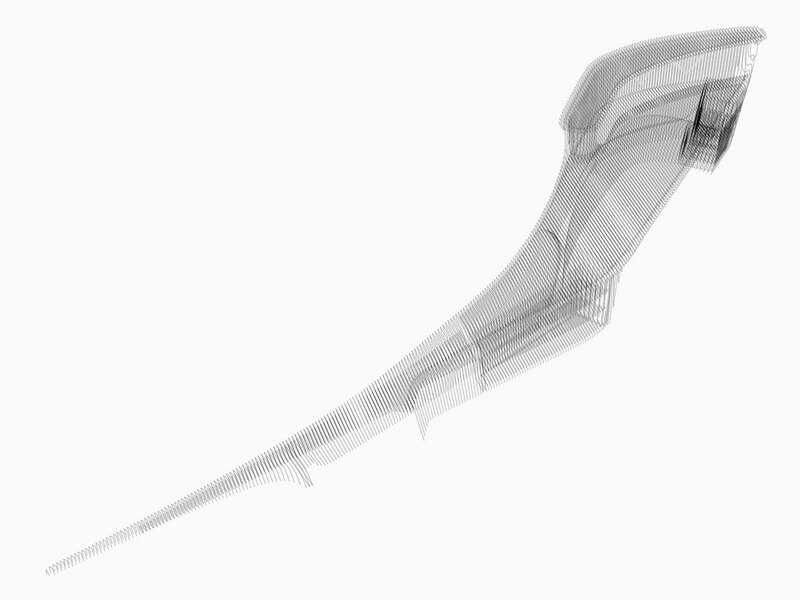 This data was transferred to an advanced computer controlled manufacturing process, CNC (Computer Numerical Control), which allowed a full sized pattern to be cut and shaped in hard foam for casting the aluminium sections which make up the desk. 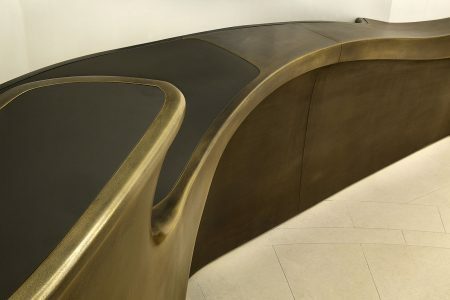 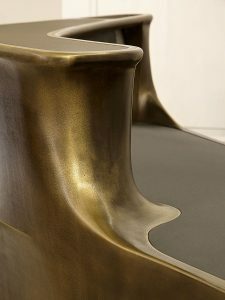 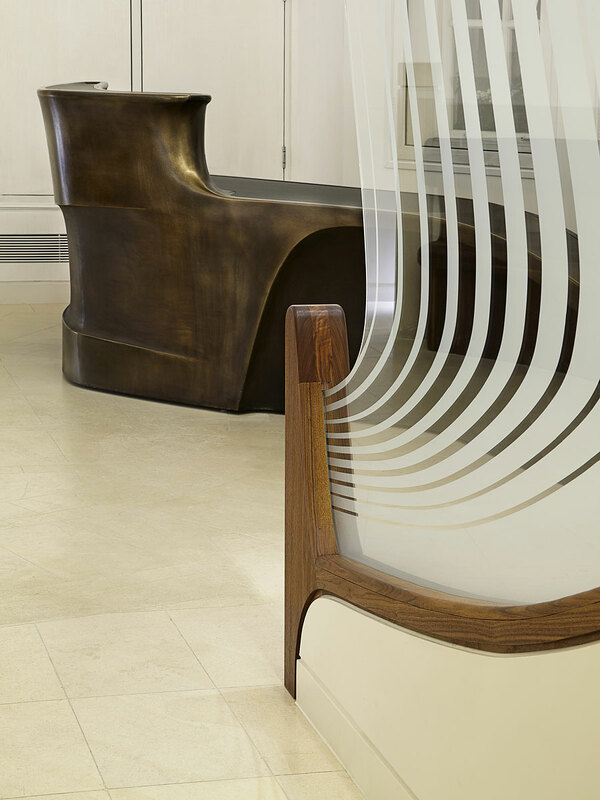 Molten bronze was sprayed on the aluminium to provide a finish which was then patinated and waxed to provide the desk’s attractive final appearance. The desk is complemented by iridescent brushed and polished plaster finishes to walls and ceilings. 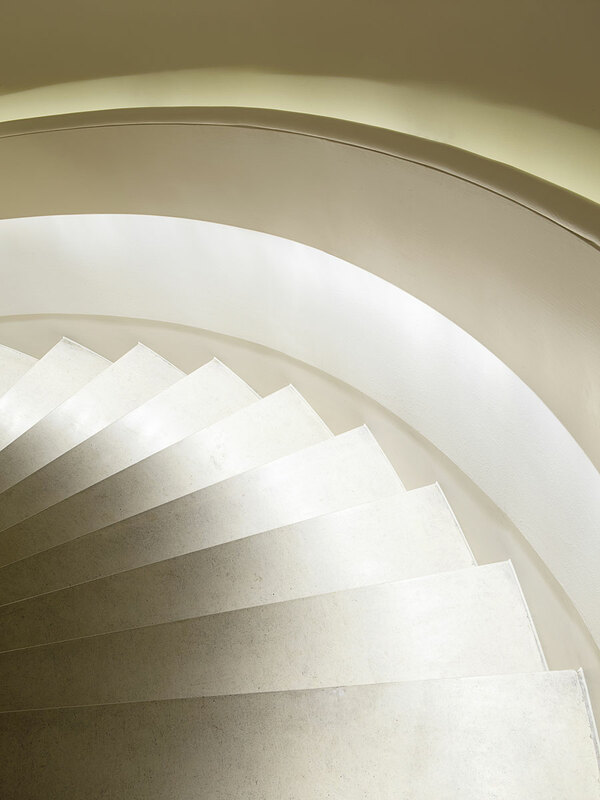 Effectively lit by integrated linear light sources, they provide reflective surfaces that change their appearance depending on the viewing angle and expand the perceived space beyond its physical boundaries. 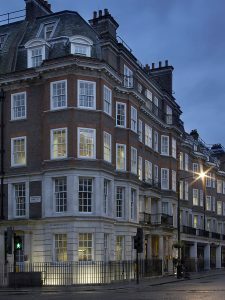 Refurbishment work was successfully completed over 13 weeks, mainly during evenings and at weekends, to allow uninterrupted weekday working in the office accommodation.